Our Smart Division CV template has classic headers with trims that are achieved using tables alone. It's really easy to amend the headers or copy and paste in additional titles that you might need (such as 'Professional Memberships', 'Publications' or 'References'). Free Smart Division CV template in Word	Overall rating:	4.3	out of 5 based on 52	reviews. Using a classic font (Garamond) that is perfect when applying for just about any role, our Smart Divided CV template has subtle borders, smart bullets and attractive headings, presenting your information in its best possible light. Our Smart Division CV template has been designed to suit a very wide variety of roles, from administration through to high-end management. The choice of the Garamond font immediately gives the curriculum vitae a classic, respectable appearance and suggests you have taken care over the presentation and layout. One way that you might want to edit this CV template is to remove the page border then select the main table and add a border to that in soft grey. This shifts the border inwards on the page which may be necessary for some types of printer. 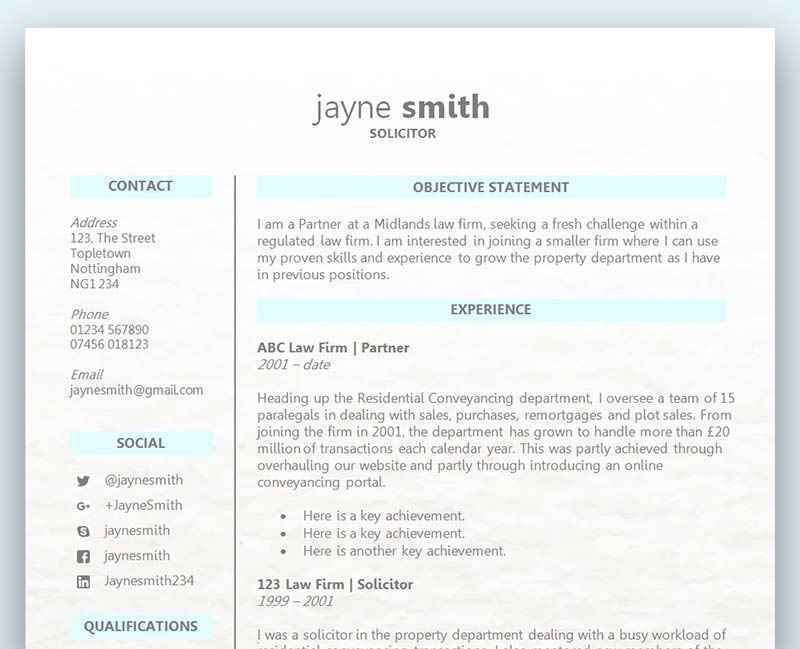 Alternatively, you might want to remove the page border altogether – this can be helpful if you find your CV template is not printing as it should be. You can adjust page borders by going to the PAGE LAYOUT tab in Microsoft Word and choosing PAGE BORDERS. This also gives you the ability to choose a different border instead, if you’d rather have something more fancy! It’s really easy to add a photo to your CV template in Microsoft Word – simply choose the INSERT tab, click ‘PICTURE’ and locate your photo. You can then drag to resize the picture to a suitable size. We hope you love our Smart Division CV template and the whole team sincerely wish you the best of luck in finding your perfect job!